When working in processes that require calling clients or colleagues, there will invariably be a time when he or she will have to be put on hold. How can we put someone on hold in a professional way? This post will explore some tips to polish call handling skills through discussion and video examples. Do ask: "May I please put you on hold a moment?" Don't state: "Kindly wait while I put you on hold." The question must be said with an uptone at the end to assure the listener understands it is a question. The second request in the mind of an American would sound rude, demanding and commanding. Avoid statements when requesting anything over the phone, in person or via email. 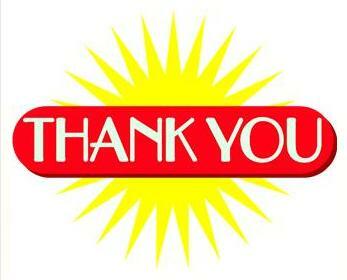 When returning to the caller, as in the video, do acknowledge the caller by greeting them with a "thank you." Saying, "Thank you for your patience." or "Thank you for waiting." are commonly used phrases to start back up the conversation. If you know the person's name, add it at the end. For example, "Thank you for your patience, Mr. Jones." Letting them know where you are in the process of fixing the problem. Asking them questions about their experience with that problem. Talk about unrelated issues- small talk about the weather in their area or holidays. Note to do this, one must be able to handle two different thought processes in their mind at once. For English as Second Language (ESL) speakers, this may be a challenge at first. Transferring a call is similar to putting a caller on hold in the eyes of the caller. Due to this, it's always important to let the customer know you have to transfer them, the reason to transfer them, and to which department or person you must transfer them to. Mention this in the form of a question. Do ask:"The billing department is the best place to get the most up to date information about payments and late fees. Shall I transfer you to that department?" Caller responds: "Yes, thank you." Call agent: "Great. One moment please." Don't Say: "Kindly wait while I transfer your call to the billing department." Note, as in the video, it's important for you as the call agent to give a heads up to the person or department you are transferring the call to. Note the person's name and a short summary of their problem so the call handler in that department can help the person quicker. This also saves the caller the frustration of repeating their story over and over again. The customer will be easier to interact with and the experience will be much easier if we remember these tips. Note that if you are the one the call is being transferred to, to greet the person by their name, mentioning you are happy to help them today with XYZ issue, as shown in the video. Do you have any other tips or tricks you use for placing callers on hold or transferring calls that has helped you? Feel free to share your experiences in the comment section below. Jennifer Kumar, author of this post, helps offshore teams build effective relations with onsite teammates, clients and customers through understand cross-cultural customer service and CRM tips. Contact us today for more information.